IMDB Rating: 7.1/10Genre: Documentary / SportSize: 500.75 MBRuntime: 1hr 0 minDocumentary about the most famous dribbler in Brazilian Soccer (some say in Soccer’s history!) 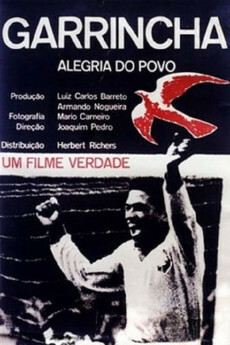 at the zenith of his career, showing classic scenes of 1958 and 1962 World Cup. Garrincha was a very original and talented player, having curved legs. Women and alcohol were his passion, and the cause of his later decadence. After a glorious career, he died in financial misery, forgotten.